Last week we were delighted to receive our certificate from the Love the Broads charity. Last year our donation to the charity was £1716.76. 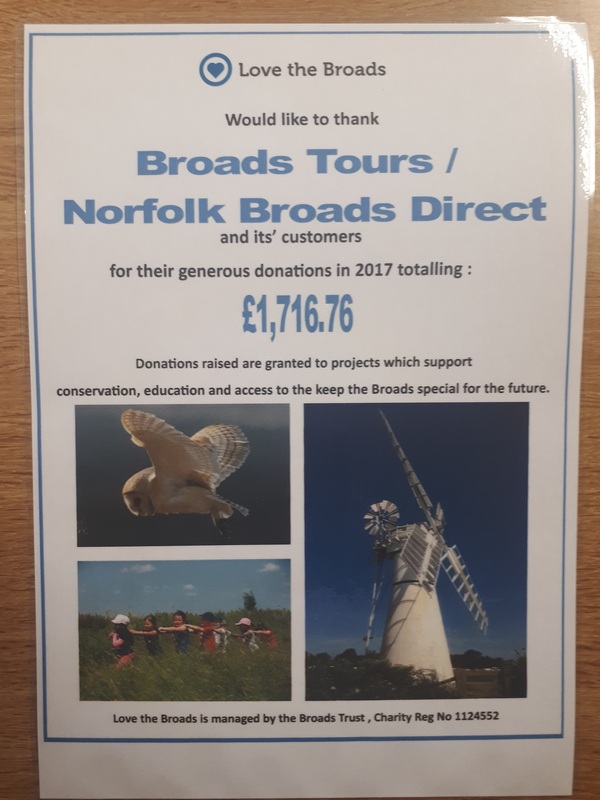 This represents £1 per hire cruiser customer that we donate on their behalf, and proceeds from the sales of Love the Broads books and badges. 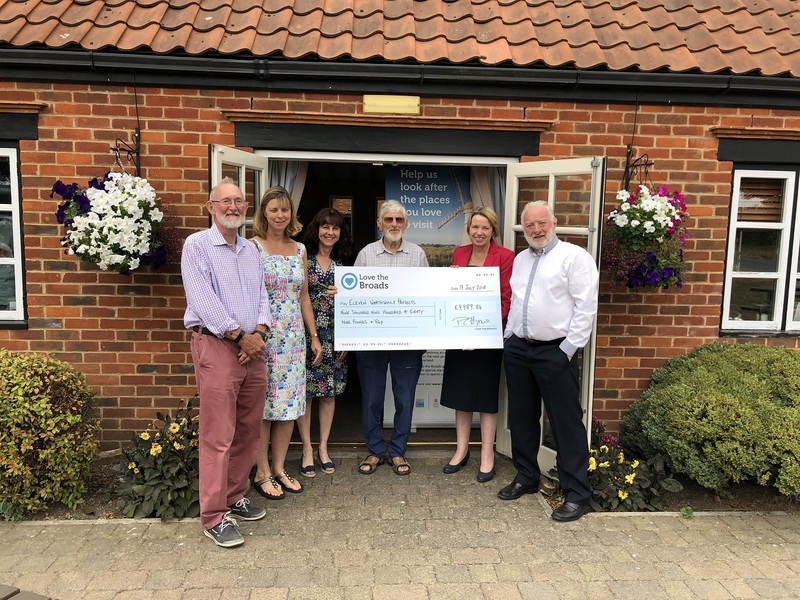 Our donations for this year have gone to two very special projects, one being a project to improve interpretation for visitors and local people upstream of Coltishall. The whole project aims to provide six A1 information boards between Coltishall Lock and Aylsham. This project is being organised by The Bure Conservation Trust. The second project is to purchase a wheelchair for the Museum of the Broads based in Stalham. The wheelchair will help people with mobility problems to access the museum’s new passenger boat as well as the fantastic exhibits in the museum. 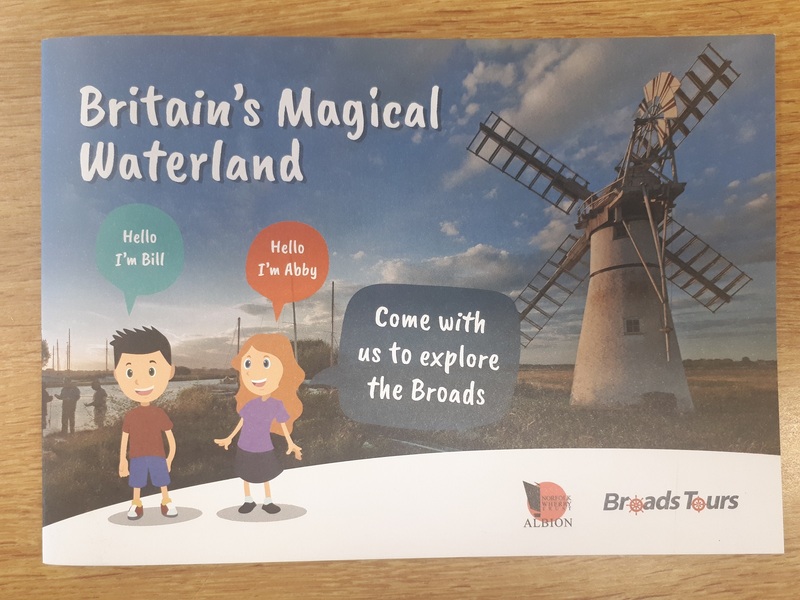 Last year money donated from Norfolk Broads Direct part funded a new educational book that was produced in collaboration between Broad Tours, our sister company, and the Norfolk Wherry Trust. These educational books have been given to primary school children visiting Broads Tours and the Norfolk Wherry Trust. They have gone down extremely well! The cheques for these and other projects were presented at a reception at the Fur and Feather last week.